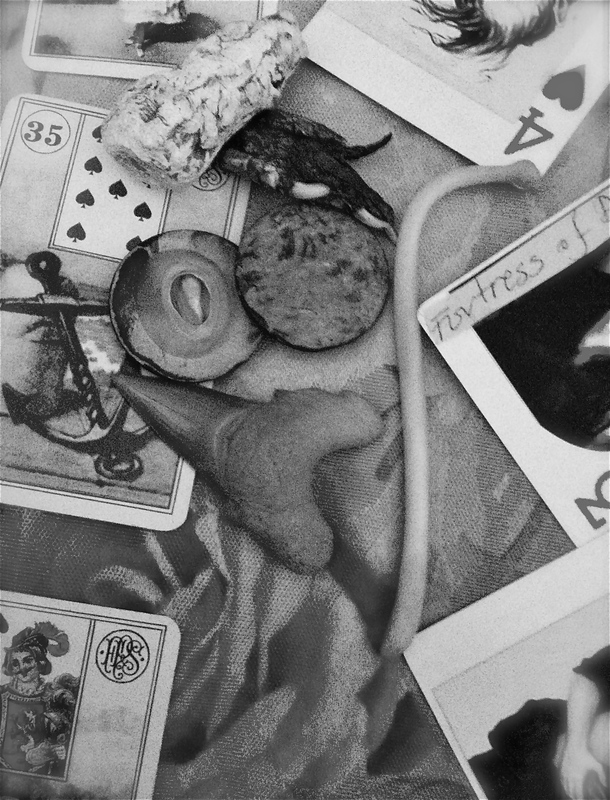 My husband is finishing his Master’s degree — which means that along my full-time job and my fortune telling and conjure practice, I am also having quite a load on my shoulders taking care of our household, our daughter, and two spoiled fur-babies. And thought it sounds like bitching (and maybe it is 🙂 ), I wouldn’t mind cloning myself if I could. Especially on the weekends, when my to do list looks like a menacing, multi-headed hydra, and a martini-therapy seems like the only sane option. This weekend my husband is away on a school-related seminar. And I am here — in “charge”! 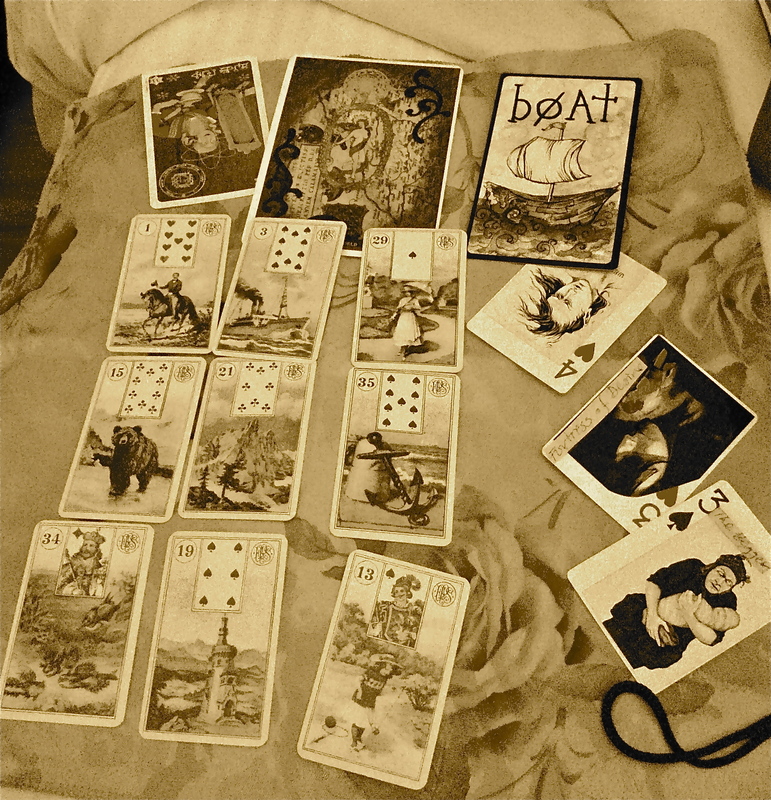 I pulled three cards from my vintage Piatnik, that gave me a perfect reflection of today’s situation. The Crossroads is about important choices, and the decision-making process. In today’s, simplified, context I see it as being in charge and having to navigate the day for my family. The House and the Child are quite literal. My decisions will be about my home, and focused on my daughter. I also feel that the advice within these cards talks about making a conscious decision to have a good day because it could go either way. In other words, bitching is OK, but don’t forget the blessings! Read between the lines of the laundry list, and enjoy what you’ve got without loosing your mind in the details of what needs to get done. 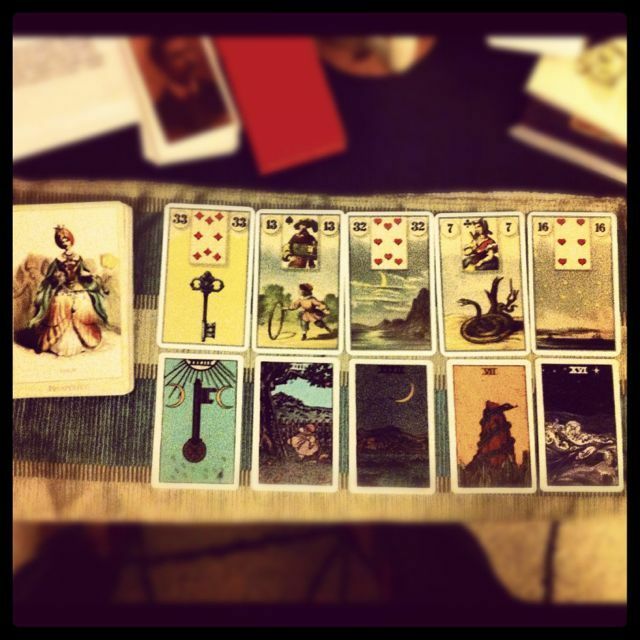 I drew from various oracles to foresee what’s coming up during the month of August. Here are a few images of the various sources of wisdom and the messages that came through for me. I am still working on deciphering what it all means. Today’s draw was done late last night, before going to sleep. 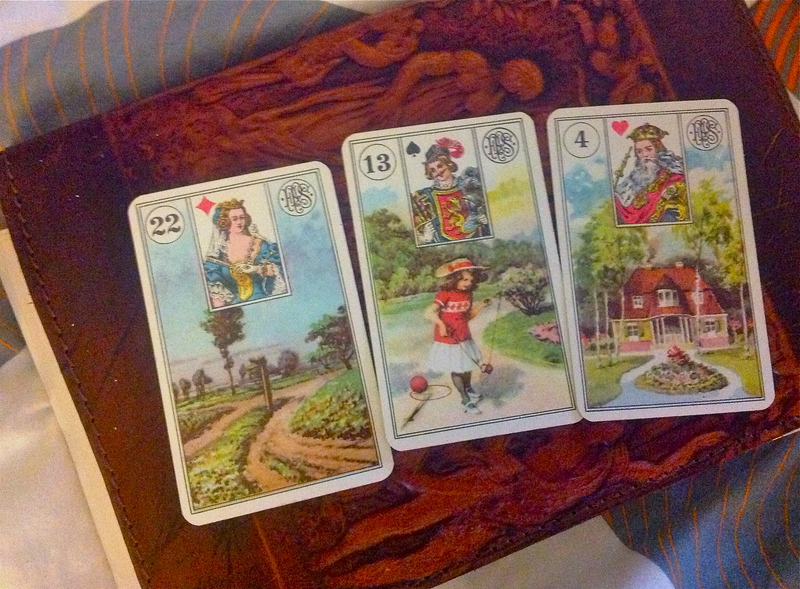 I pulled five cards from the French Cartomancy deck, and found their counterparts in the Pixie Lenormand (1st ed.) for comparison. 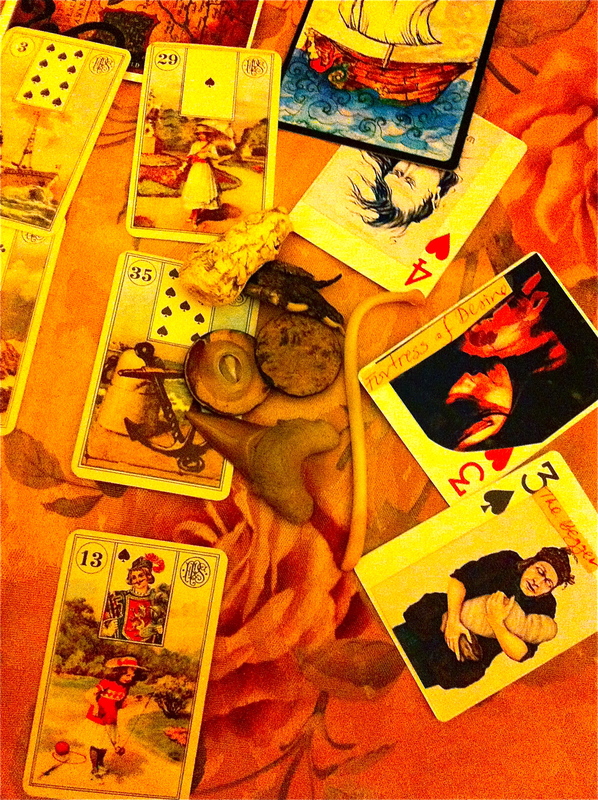 Lady Tulip, from The Victorian Flower Oracle, also chose to join our slumber party.